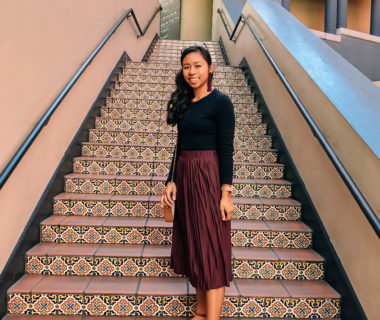 This black maxi skirt was ONLY $7.80 at Forever 21!! I paired it with a chambray shirt from Target and a rose gold belt from F21. 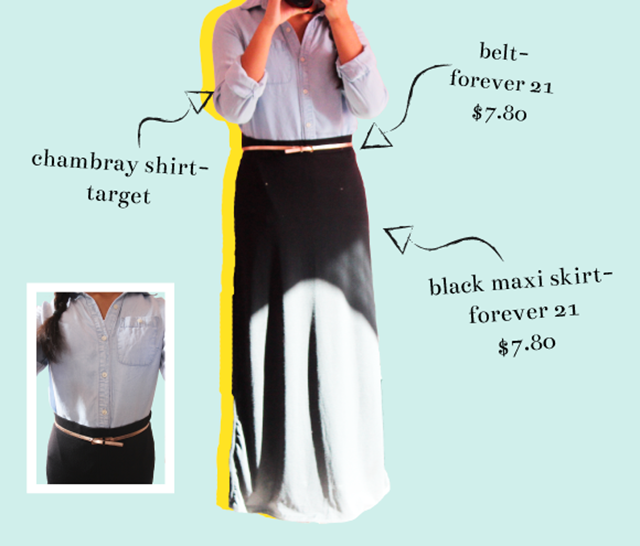 Don’t you wish that modest pencil or midi skirts were that cheap? If you know any places, please do tell. 😀 Happy Saturday everyone! !